Having customer reviews is table stakes for most if not all online sellers of physical and digital products. 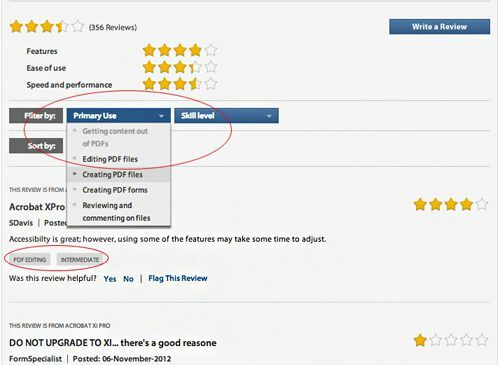 But reviews have their own features that make them usable and useful. I’ve always been a huge fan of filters for category pages, search results and customer reviews. 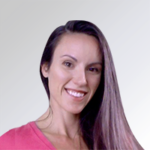 Filters help customers hone in on relevant products and information, reducing research time and frustration, and improve success (and conversion) rates. Amazon uses the same review template for its digital goods as it does for physical, which isn’t necessarily optimal. 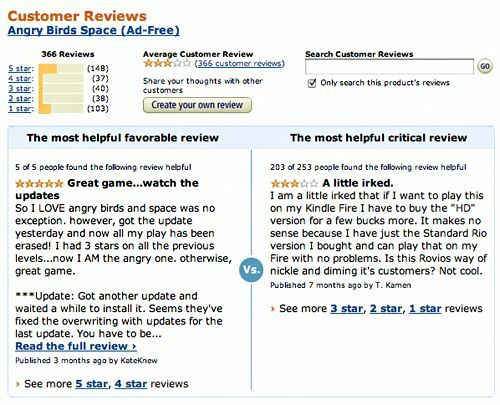 Many reviews for Angry Birds in Space complain that it is not compatible with Kindle Fire. Filtering by device type would help hone in on which of the more than 300 reviews provide contextual feedback for different device owners. 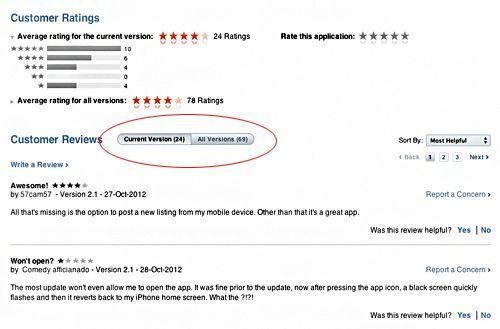 Apple’s App Store is for one platform, but it gets filters for app release versions right. Adobe smartly includes filters for product use and skill level. For Adobe products, vocation / industry may also be a powerful filter. The ability to hone in on reviews from other graphic design professionals, photographers or students helps customers focus on the most relevant reviews. 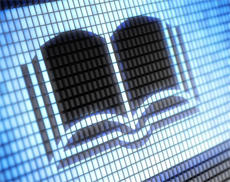 Digital content like ebooks, music and media typically is reviewed by experts as well as customers. 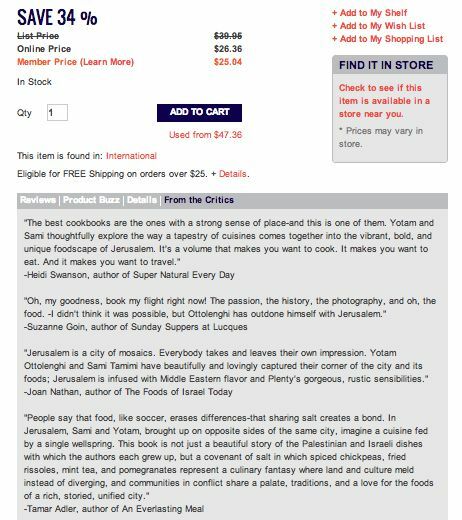 Indigo Books offers a tab for critical reviews. It also has a tab for social mentions, a creative feature which may also encourage customers to socialize their own reviews when they discover it. If you carry a variety of digital goods, don’t be afraid to be inconsistent with filters – tailor them to the product. Choose filter attributes based on decision criteria. 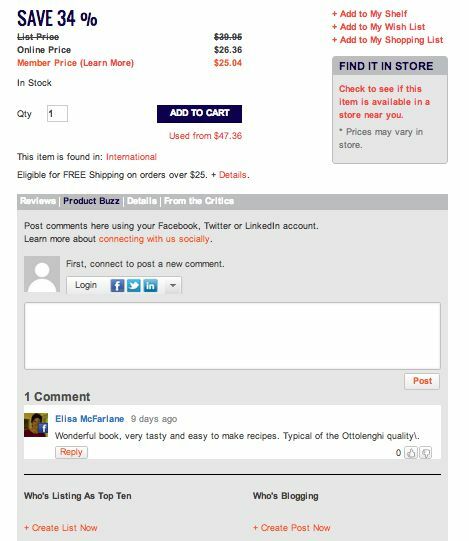 Reading through customer reviews can give you ideas. Interactive TV Shopping: Not As New As You Think!